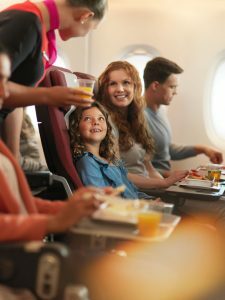 Qantas might be the world’s most experienced long haul airline, but it’s not content to let its reputation speak for itself. Despite its wealth of experience, long haul travel has presented new challenges in recent years. The term “long haul” now encompasses trips that routinely exceed 15 hours, and in some extraordinary cases, over 21 hours. That is an incredible amount of time to spend in the air. How can science help long haul travellers? To this end, Qantas has enlisted the help of the Charles Perkins Centre at the University of Sydney. The centre investigates ways to counteract jetlag through on-board exercise and movement, as well as menu design and service timing. The research also extends to pre- and post-flight preparation and the passenger’s experience in transit lounges. Importantly, the cabin environment including lighting and temperature are also being carefully examined. The idea is that passengers embarking on long haul flights don’t want to get to their destination feeling destroyed. That would eliminate the obvious benefit of taking the quickest possible route. With direct 17 hour flights between Perth and London beginning in less than a year, the airline wants to be sure that this will be a solid bet. The Boeing 787-9 Dreamliner is the first piece in the puzzle. The plastic fantastic plane is designed to better manage cabin humidity and maintain a lower cabin altitude. This prevents passengers from “drying out”. Larger windows also permit more natural light to enter the cabin and give an added sense of space. Space is also easily perceived by the high ceilings on the Dreamliner. The centre is also advising on cabin lighting and temperature to extract the maximum benefit from the aircraft’s interior. Qantas says that the centre’s research has already influenced meals and beverages that will be served on-board. And it’s not just the meals themselves, but also the timing of them. “Neil Perry is working with the centre on new menus for the 787 flights so we are excited that one of Australia’s best culinary minds is teaming up with the best scientific minds to design the best possible menu to look after both health and hunger,” adds Joyce. 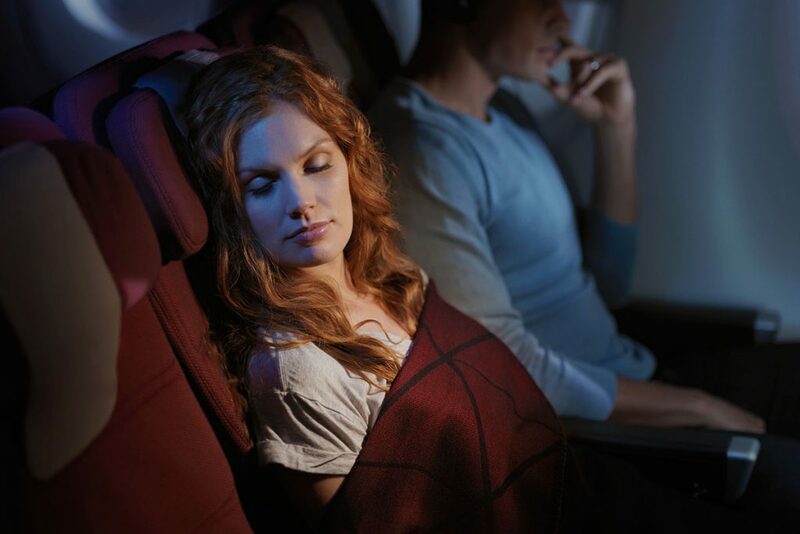 Some Qantas frequent flyers have been involved in trials that involve wearable technology in the measurement of existing biorhythms during travel. This will enable future products to be developed and designed with the insight of robust data. Qantas kicks off the world’s longest Dreamliner flight between Perth and London in March 2018. Other equally long routes are rumoured, but have yet to be announced. Stay tuned!